RICHMOND, BC – Hailed by the Arizona Daily Star as a pianist with “technical prowess, balletic grace, warm tones, and unwavering devotion to the score,” pianist Aryo Wicaksono has performed in many venues and festivals throughout the United States. Internationally, he has been a featured soloist in St. Petersburg, Russia; Dubai and Sharjah in the United Arab Emirates; state of Sonora, Mexico; and throughout Indonesia.He has performed with the Nusantara Symphony Orchestra, St. Petersburg State Symphony, United Arab Emirates Philharmonic Orchestra, Civic Orchestra of Tucson, Tucson Symphony, Arizona Symphony Orchestra, Arizona Wind Ensemble, and Arizona Percussion Ensemble, performing concertos and new works ranging from Liszt, Prokofiev, and Stravinsky to Philip Glass. As a musical director and pianist for the musical “Elegies – Looking Up” by composer William Finn, he won the Arizona Daily Star’s “Mac Award” 2006 for Best Musical in Tucson, and the Tucson Weekly “Best of Awards” Best Musical in Tucson for 2006-2007. Recent highlights of his performances are Prokofiev 3rd Piano Concerto with Nusantara Symphony Orchestra under Maestro Hikotaro Yazaki, Prokofiev 1st Piano Concerto with UAE Philharmonic Orchestra under Philipp Maier, a solo recital debut at the prestigious Embassy Series in Washington D.C., and a sold-out orchestral debut with the St. Petersburg State Symphony in St. Petersburg, Russia, performing Prokofiev’s 1st Piano Concerto. As the first Western classical music artist to hold a visiting Artist-in-Residence position at the American University of Sharjah, in Sharjah, UAE in November 2009, he presented his UAE solo recital debut, master classes and lectures. Recent tours include Prokofiev 3rd Concerto in Tucson AZ, Liszt Totentanz in Indonesia, East Coast Tour with the Dance Theatre of Harlem in the Fall of 2010, and recital debut and residency at SouthWestern College in San Diego, among others. Upcoming concerts will include San Francisco and Vancouver Recitals and residency, and another tour of Indonesia in Fall 2011. As a composer, he has made scores for short independent Japanese film “Dream of an Hour”, and has some of his music set into ballet by Teatro Jaguar Luna and other ballet schools in the U.S. and abroad. He was pianist-composer in residence for the American Academy of Ballet School this July 2011. 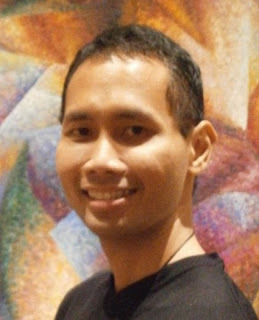 For more information, press reviews, and touring schedule, please visit Aryo’s website at http://www.aryo-wicaksono.com. He lives in NYC and works for NYU Tisch Ballet School and 92nd Street Y Harkness School.